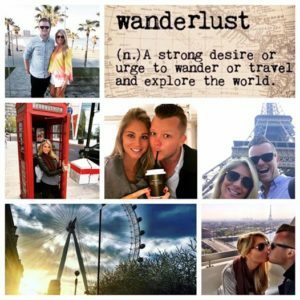 I’m so glad to be back from my babymoon and update you on all the fun we had! If you follow me on IG or Facebook then you were able to follow my journey with my hubby on our babymoon! We went to London, Paris and Barcelona and what an AMAZING TRIP!! So many beautiful sights to see, delicious food to eat AND while we were there- baby MILESTONE’S to acknowledge! Not only was I able to feel Baby G kick for the first time but Jarrod was also able to feel him moving around and kicking too! It was such a surreal experience! 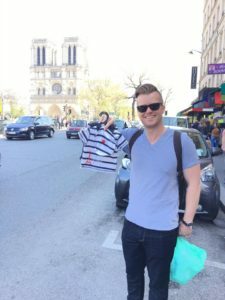 We also had a milestone of buying our FIRST baby outfit in Paris! We bought the cutest little outfit and were also lucky enough to stay in the most amazing hotels who gifted us with clothing, bears and mementos for our little guy as well! While our adventures in Europe were beyond amazing and memorable, I also started to feel “more pregnant” this week. I have put on about 7 lbs and while I know it’s not ME per say who is putting on the weight from eating (well, ok maybe one or two many crepes 😉 ) it is hard as a first time mom to really see this weight go on my body. 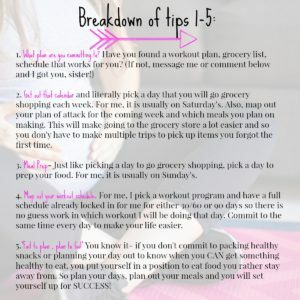 This is why I wanted to write today’s blog: 5 Tips to Help With Pregnancy Weight Gain. These 5 rules I know will not only help me, but help YOU put on HEALTHY weight so when your baby is finally here, the weight will come off much easier than if we were to go off the rails for 9/10 months. 1. 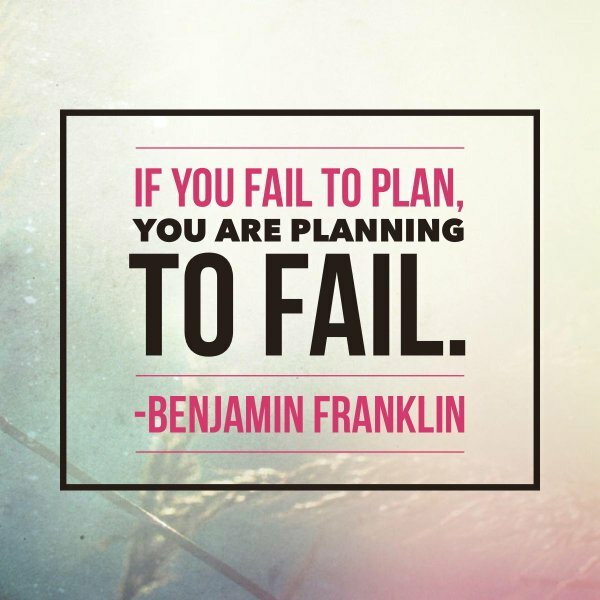 Commit to a plan- this is a plan for working out, grocery shopping, meal prepping and staying on track! This sets the tone for tips 2-5. 2. Pick a day to do your groceries (put it in your calendar, planner or phone and make it the same every week). Buy all your ingredients for the week at once. 3. Pick a day to prep your snacks and meals. (put it in your calendar and make it the same every week), put them in your fridge or freezer. 4. Write in your calendar or planner what days and times you will commit to working out/ getting in some type of physical activity (if you don’t schedule this, it will never happen). 5. Plan and PREPARE! Take some snacks or meals packed with you. This is huge, you do not want to let too much time go by without eating. This isn’t about just being healthy for 9 months. This is about creating a healthy lifestyle. I know you want this for your babies, for your hubby, for YOU! Don’t just eat clean and healthy for baby and then go back to a lifestyle that is contaminated and toxic. OR, if you have found it hard to get away from the sweets, processed carbs, breads, pasta’s, etc let me help you create a lifestyle that you will not only LOVE and commit to for a lifetime but one that lets you have what you want all in proportion. Not depriving and starving yourself but living a healthy life by example for all those around you. If this is something you’re interested in, I have something special for you! Message me or comment below and I can help you get started! I can’t wait to share with you what I have for you and how you can start living the healthy, vibrant, fulfilled lifestyle you’ve always wanted to live! 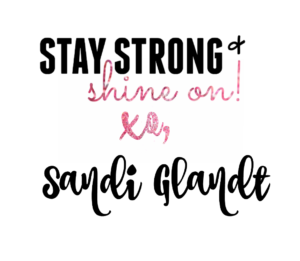 YOU CAN DO THIS!! And to all my fabulous, fierce mamas out there- I want to hear from you! How is your pregnancy going so far? How far along are you? What struggles have you come up against, what have you found to really love about your pregnancy? Let’s connect and share this journey together! I’m with y0u and can’t wait to hear from you! Hi! My name is Nicole and I am totally interested! I am so afraid of the weight gain, I can’t even tell you!!! Anything will help! Thank you so much!